From 26–30 October 2016, the Ubud Writers & Readers Festival program will span intriguing in-conversations, fiery panel discussions, languid literary lunches, cocktail evenings, hands-on masterclasses, poetry slams, film screenings, soirees under the stars, cultural workshops and more. 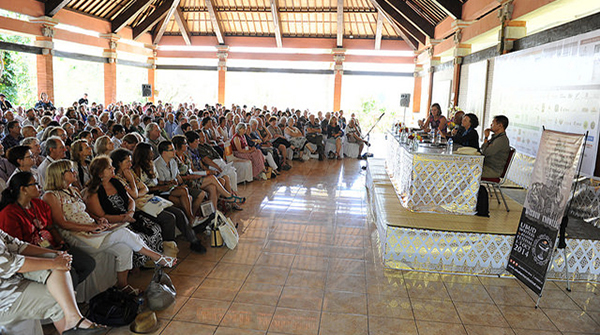 In 2015 we welcomed over 165 writers, thinkers, artists and advocates from more than 25 countries, filling Ubud’s lush green surrounds with 235+ unmissable events, many of which were free. The program sneak peek will drop in July, and our full program go live in August, so be sure to sign-up to our e-news to be the first to know!